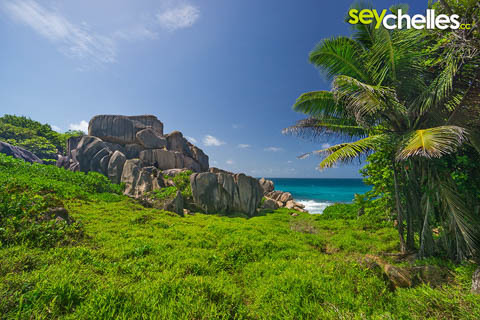 Anse Songe is about 15 minutes walk from Grand Anse on La Digue. 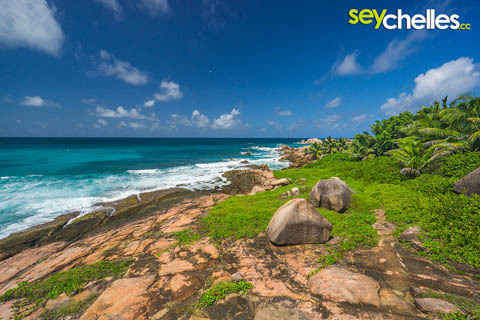 It is only accessible through a small track that heads inland as soon as you leave the paved road coming down the mountains from the other side of La Digue. 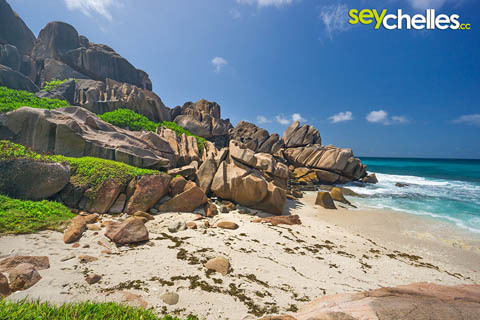 Anse Songe is no beach for swimming, snorkelling or sunbathing because getting into the water is really hard and there is no shade at all. 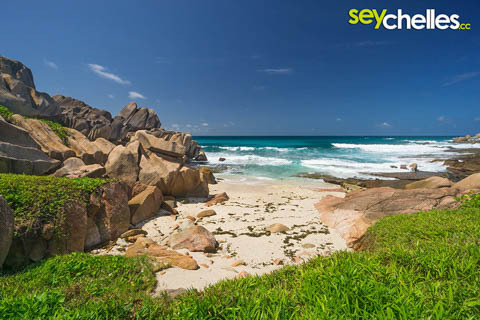 However, this tiny beach is great for shelling and for this very reason probably the best one on La Digue or any other of the big islands of the Seychelles. What you should keep in mind is that you must not bring any of the shells back home with you because of the regulations on the Seychelles. So be aware.